We've all seen videos with that super cute little boy walking down the aisle, bringing with him one of the most important parts of the wedding as he plays the role of the ring bearer. If you're in the middle of planning your Perfect Day, don't downplay the role of your little ring bearer! How do I choose my ring bearer? If you have a little boy in your family or circle of friends that brings tons of "likes" on social media sites, that may be your man! Although your wedding is completely up to you, most people are looking for a guy that's old enough to make his way down the aisle alone, but still cute enough to induce tons of exclamations when he starts his duties. They're usually under 8 and at least 3 years of age, and they're confident enough to make their way between the seats without having a full-fledged meltdown along the way. How do I choose the right outfit? For the most part, a wedding that includes a ring bearer is at least a little bit traditional. Even if there isn't a church, there is likely an aisle, a color scheme, and a certain feel that you want your guests to have. Don't over think it! If you're having a rustic country wedding, use that as your muse. If your groomsmen all have tuxedos fit for the Red Carpet, start there. The little guy is simply a reflection on the rest of the wedding. Little boys' suits and tuxedos are much more easily attainable than you may think, and when you have the perfect little guy in his perfect little tux, you're only making a way for the perfect pictures in the end! If you're not sure how to best outfit the little guy in your wedding party, you don't have to worry at all! 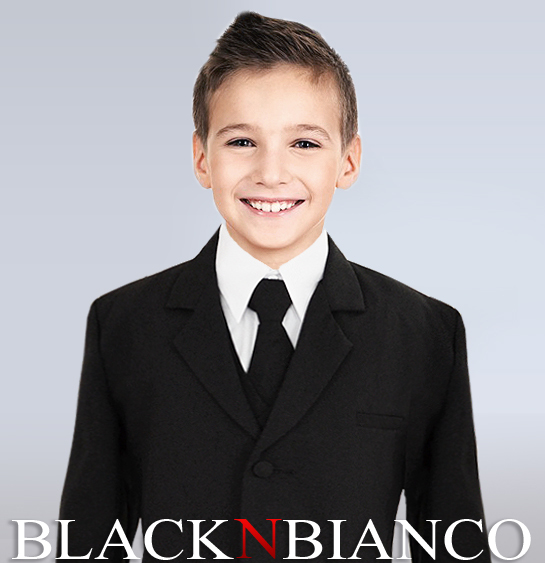 This is where you can let the experts at Black N Bianco take over with their stylish knowledge. Pillows are for sleeping. Aren't there other options? Of course there are! The perfect little ring bearer can bring those beautiful rings down the aisle in any way that you so choose! Pinterest is never short on options that you can use to fit into your own personal style, and there are tons of ways that you can use other peoples' ideas to form your own perfect day! Having a beach wedding? Consider using big shells! Love reading? Buy an extra copy of your favorite authored piece, and cut out the middle. Your little ring bearer can bring the book down the aisle and open it up when he gets to the alter. Have a special scent? Wrap the ring around the bottle, and send him down the aisle with scent-worthy style. What exactly is a ring bearer responsible for? You do not want to over-stress your little guy, whether he's a human part of the family or he's walking on four legs. More than likely, you have chosen him because he's adorable, so that's his job. He's simply there to make a few "oohs" and "ahhhs" and get people out of their seats. His job is to start your day off right! If you have creative and unique ways to put your little bearer on the stage, let us know! We'd love to hear how you got creative with your own Special Day!